The 10 Pack* is ETD’s best bargain in Undercover 4 light packs. A single pair is $57.96 on our site; 5 pairs would be $289.80. The 10 Pack is just $189.96. Now, that’s a whopping $99.84 savings that we are offering to YOU! 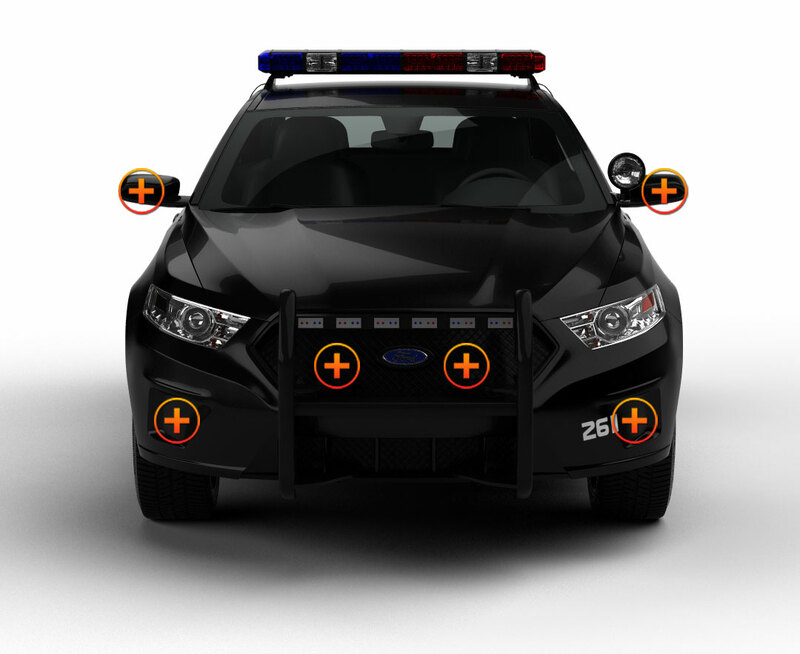 Whether you are a first-time volunteer and these are the first set of warning lights you’re buying, or if you’re a seasoned officer and want more lights for your patrol car or SUV, these are a fantastic buy. You’ll be adding 40 watts of highly focused light through TIR lenses that are made of durable, impact resistant polycarbonate. The Undercover 4’s have 19 flash patterns with pattern memory. The waterproof housing are sealed with industrial epoxy; the LEDs will stay dry in all weather conditions. 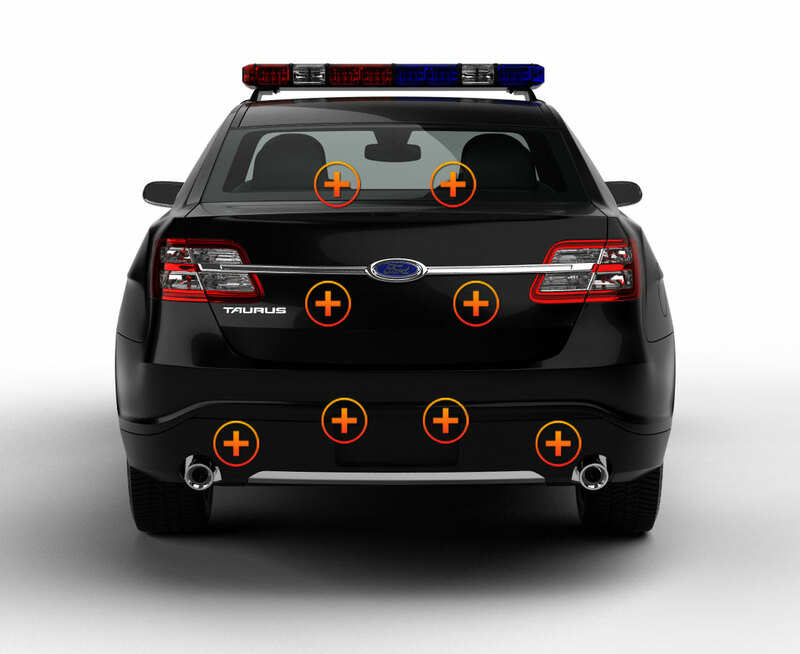 The lights are usually mounted in pairs on push bumpers or behind the grille, around the license plates or anywhere on the surface. You select the colors for all 10 lights from 5 solid-color choices. 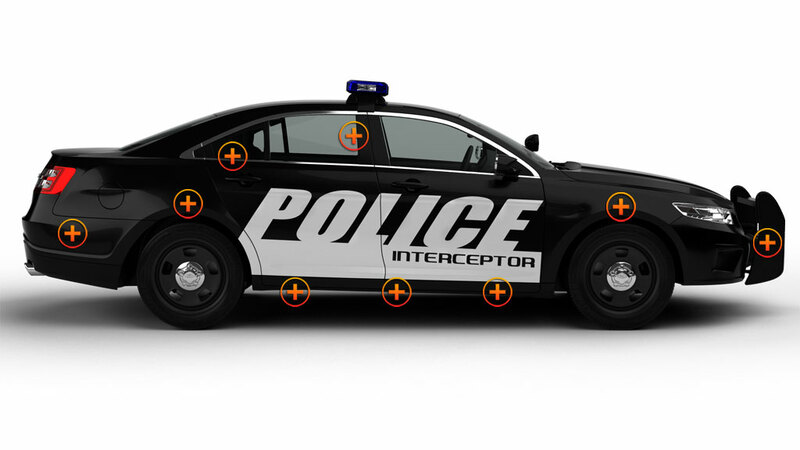 Extreme Tactical Dynamics has put a lot of important information in its Knowledge Base section on our site. Find out more about the emergency lights and colors that your state allows and how to mount lights in the Installation Guide. Browse the customer video section on our website to see how they have customized our lights on their vehicles. ETD does it again. Killing their competition in prices and quality of lights. These things are so bright. Update on review. Lights installed in old Whelen Edge lightbar where strobes were blown. LEDS super bright enough to shine through 20 year old faded lenses in the day time and at night they light up entire back yard. Very recommended to everyone. These things are bright and come with a decent selection of flash patterns. I haven't had them installed long, but they seem great so far. The price for 10 of these just cant be beat. Buy 8, Get two Free? Made sense to me! I came shopping for a nice little collection of lights to add around the bed of my tow truck, and at this price you can't beat it. Can't wait until I get them installed!